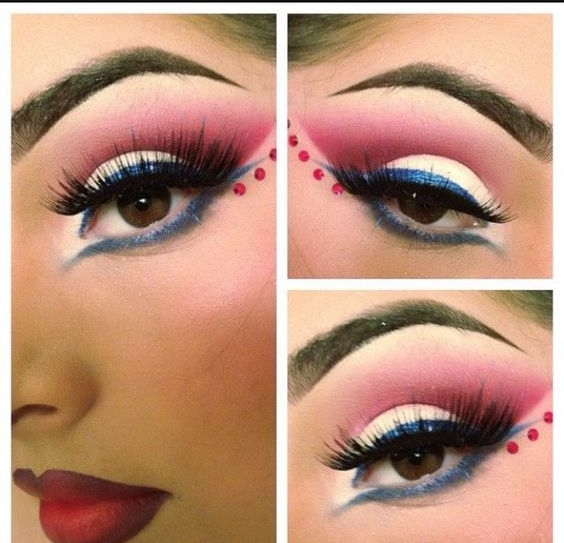 Pinterest is certainly a go-to for makeup inspiration for this 4th of July Holiday. Here are a few picks that I am thinking of considering trying myself. 1. I am loving this Blue Wing eye look paired with a nice red lip.